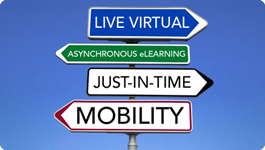 The leader in live virtual learning experiences. Transformational training solutions for today's business professionals. Technology is changing the training industry, but many still cling to the physical classroom model as the benchmark for training. In this whitepaper, we explain how to use technology to design and deliver truly effective training. Learn more about our L&D Fundamentals Training Workshops. 3GS provides a series of workshops aimed at providing L & D professionals with the methods, tools, and approaches to architect blended and continuous learning programs, to design, develop and deliver high impact live virtual training. 3GS offers a library of off-the-shelf and customizable learning elements in the areas of sales, sales management, leadership and communication.